(from left to right)Roger Morelli, Fireman’s Fund Insurance Co., Steve Ruzow, Chairman of the FDNY Foundation, Kent Swig, Terra Holdings, LLC; YuLanda Scott, Fireman’s Fund Insurance Co.; Edward Kilduff, New York City Fire Department Chief. 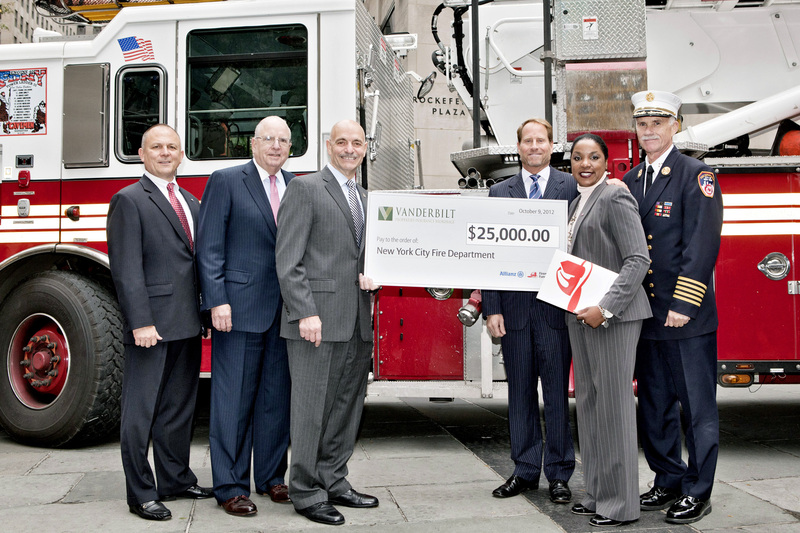 On Tuesday, October 9th, I had the privilege to represent Vanderbilt Properties Insurance, an affiliate of Terra Holdings, in presenting a $25,000 check to the Fire Department New York (FDNY) which was a donation from Vanderbilt and Fireman’s Fund Insurance Company. The check was presented to FDNY at a ceremony at Rockefeller Center as part of fire prevention week here in New York City. It was an honor to be seated on the podium along with Fire Commissioner Salvatore Cassano, Stephen Ruzo, Chairman of the FDNY Foundation, and YuLanda Scott, Senior Director of Commercial Insurance and Excess Casualty of Fireman’s Fund, among others. All of us shared the excitement of bearing witness to the “swearing-in” of hundreds of New York City school children to become honorary fire safety directors, who all pledged to work diligently to help prevent fires and to further educate friends and family on how to prevent fires. The morning was wonderful and so important as the FDNY extinguishes over 50,000 fires each year in New York City. 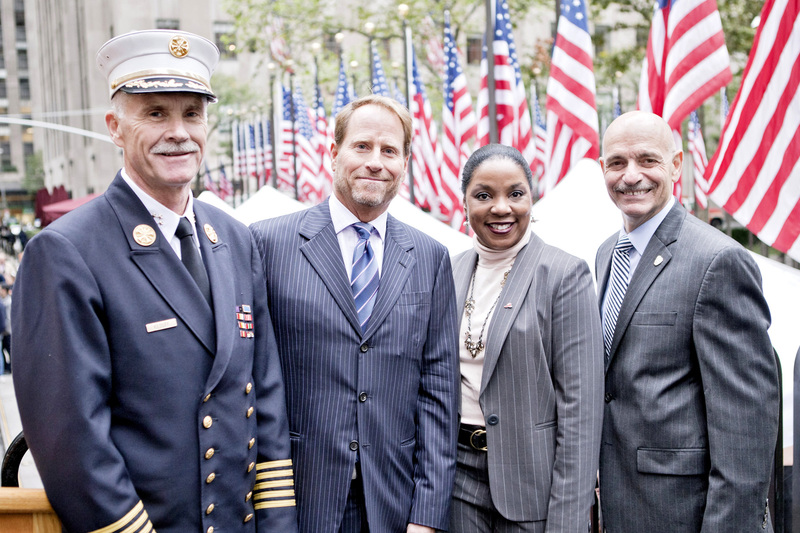 (from left to right) Edward Kilduff, New York City Fire Department Chief; Kent Swig, Terra Holdings, LLC; YuLanda Scott, Fireman’s Fund Insurance Co.; Salvatore Cassano, New York City Fire Commissioner.